Almost every technology solution promises some type of ‘silver bullet’ that will fix all of your problems. In the contact centre industry the silver bullet is supposed to be Answering Machine Detection (AMD). 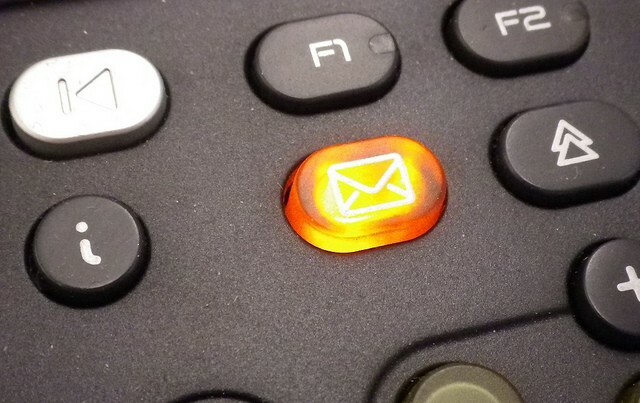 Particularly with the proliferation of mobile phones, contact centres have to deal with lots of answering machines. Agents of course only want to talk to live customers, so how do you get rid of all of those pesky answering machines? As the music builds and the sun rises; over the horizon rides ‘Answering Machine Bill’, the fastest AMD in the West. So lets start by understanding how AMD works. The first thing to know, there is no magic. Repeat it with me; there is no magic, there is no magic….Soothing isn’t it. So if there is no magic, how does AMD work? Simple; by listening for ‘silence’. “Hi, you’ve reached the home of Bonny and Clyde. We are out for the moment, so stick your hands up and leave a message after the beep”. After that diatribe the answering machine will then wait. So what’s the difference between the two approaches? Simple, humans answer the phone with a short message and then fall silent waiting for you to respond. Answering machines play a long message before falling silent. So in order to detect if we have a human or a machine we just count the amount of time it takes for the party to fall silent. If its a short period of time then its probably a human, if its a long period of time then its probably an answering machine. The problem with this approach to answer machine detection. Firstly some humans don’t have short greetings and some machines don’t have long messages. Next, some times you can have a bad line with a lot of background noise. In these cases it can seem (to a computer) that a person is talking for a long time and so the system assumes it must be an answering machine. So the first two problems result in the either the person or the answering machine being misclassified. The result is that we hang up on humans and send answering machines through to agents. The end result is that by the time the customer connects to the agent they are already in a bad mood. So what is the alternative to answer machine detection? The short story is that AMD is no magic bullet. There are some other techniques used (other than silence detection) but they all essentially suffer from the same types of problems. My advice is to not use AMD. Instead, better profiling of leads and more targeted calling times can be used to reduce the number of answering machines. The other option you have is to use a transfer function. A transfer function allows an agent to redirect an answering machine to a specialised service that basically waits for the ‘beep’ and then delivers a message to the answering machine. This method can provide a middle ground. Your agents still have to handling the call but with a good transfer function they can push these calls off to the transfer function with a single click, making them available for the next live customer.